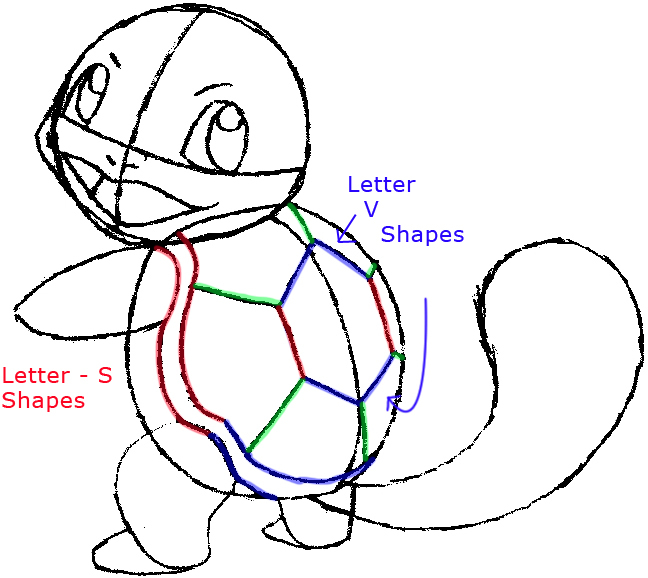 Today I will show you how to draw Squirtle from Pokemon. 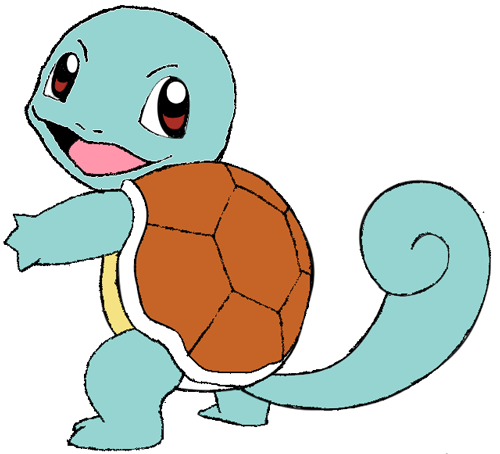 Squirtle is a turtle-like creature who evolves into both Wartortle and Blastoise. 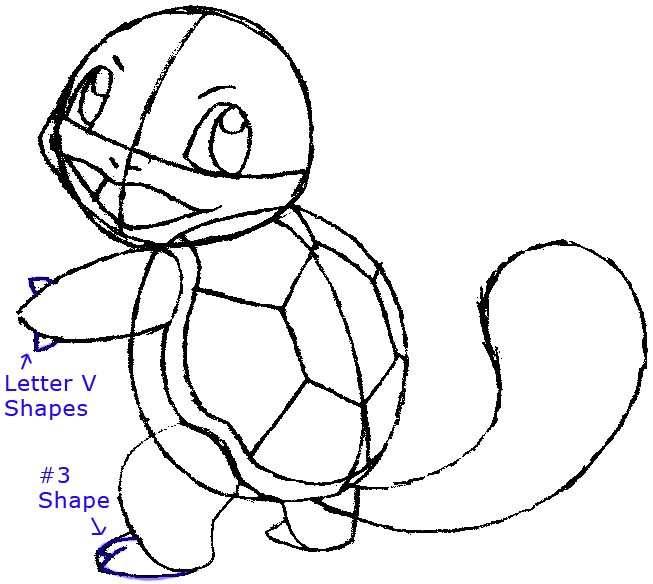 Find out how to draw Squirtle with easy illustrated steps below. 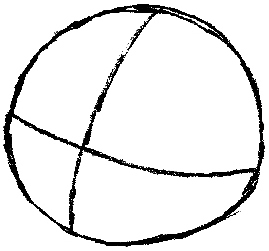 Start off with a circle with a cross section for the facial features. Add a larger oval at the bottom for the body and shell. 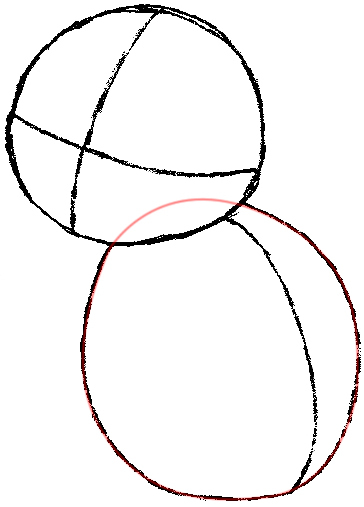 Draw an oval for the arm, and a couple oval shapes at the bottom for the legs. Draw a sideways letter ‘U’ and ‘V’ shapes for feet. 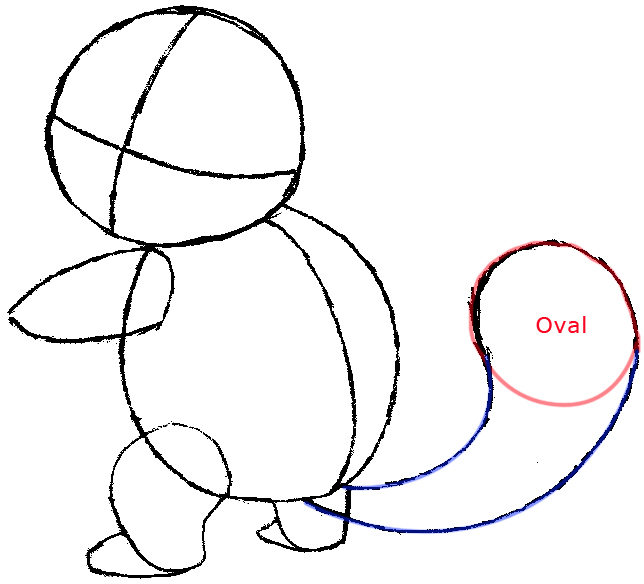 Draw a tail with an oval and curved lines connecting it. Make sure it is fat and round at the end. Start to draw the facial features following the guide lines. 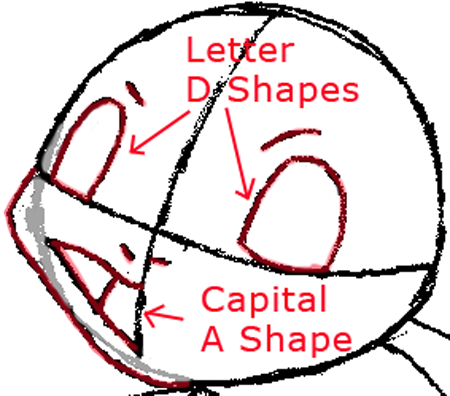 Draw sideways capital letter ‘D’ shapes for eyes. Draw a slanted capital letter ‘A’ for the left side of the mouth. Draw 2 lines for nostrils. Draw curved lines for brows. Draw backwards #9-like shapes inside the eyes. 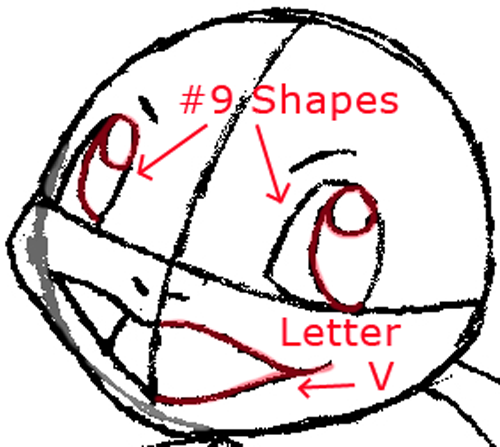 Draw a sideways letter ‘v’ shape for the right side of the mouth. Draw some hexagons at the back for the shell details. You can do this by drawing 2 letter ‘v’ shapes and 2 lines connecting them together. Then draw lines moving outwards from the hexagon. 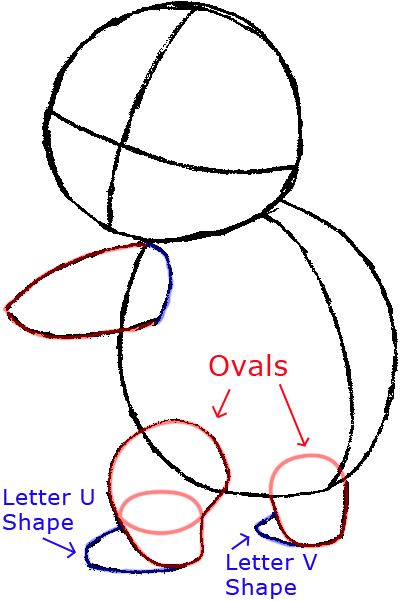 On the outside of the shell draw a letter ‘s’ shape and then some curvy lines. Start to add some fingers and toes with letter ‘v’ shapes and a #3-like shape. Add a spiral to the tip of the tail. 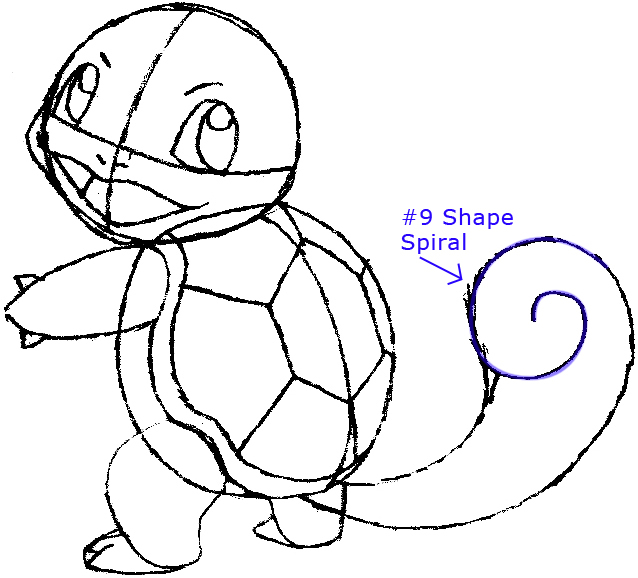 Now you can color Squirtle in. I hope that your Squirtle turned out great and that you enjoyed this tutorial. Come back for more Pokemon drawing tutorial and other types of drawing lessons. Erase your guidelines, add some blackings, and you’re done! This article was written on 24 Feb 2014, and is filled under Pokemon.